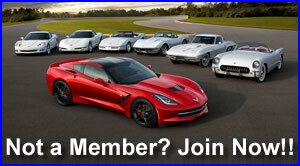 Hello Corvette Enthusiast and HAPPY NEW YEAR! It's that time of year when the NCRS (National Corvette Restores Society) holds their 1ST regional meet of the new year in Florida. This year, 2017, the show will be January 11-14 at the same location in Lakeland, Florida at the Linder Regional Airport property. The show will consist of cars on display, vendor swap meet, Cars For Sale, food and more. 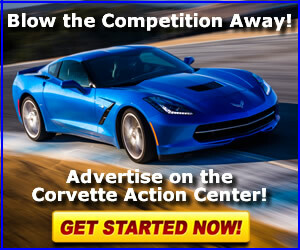 The show is open to the public to shop for Corvette parts in the LARGE swap meet, look at the cars on display, and even make a deal on a Corvette in the For Sale Corral. However, if you want to participate in the event, whether vending parts, having a car judged, display a car or putting a car in the For Sale Corral you MUST be a member of NCRS. The great advantage of NCRS is all the people are like you, they enjoy having fun, gaining new knowledge about the cars and enjoy the fellowship with the individual that have the same interest. *NOW To reach the show grounds. If you are heading south on I 75, to Tampa. Stay on I 75 until you come to Interstate 4. Take I 4 EAST towards Plant City/Kissimmee/Orlando. When you see exit 25, County Line Rd, just past Plant City, take that exit and head south on County Line Rd.. I will finish the rest of direction below once I get everyone in the same vicinity. Take Interstate 75 North. When you come to I 4 take Interstate 4 EAST towards Plant City/Kissimmee. When you see exit 25 County Line Rd., just past Plant City, take that exit and head south on County Line Rd. I will finish the rest of direction below once I get everyone in the same vicinity. I 95 South to Daytona Beach. When you get to Daytona Bch area I 95 will run into I 4. Take I 4 WEST towards Orlando. Go through Orlando. When you get near Plant City, just after Lakeland, look for exit 25, County Line Rd. I will finish the rest of direction below once I get everyone in the same vicinity. Take the Florida Turnpike North/West. Take State road SR 60 WEST. When you come to County Line Rd., turn right and head in a north direction. Heading in a SOUTH direction on County Line Rd. you will crossover Hiway 92. Continue south on County Line Rd. until you come to Old Medulla Rd. on the left. Now you are at the intersection with a traffic light. Turn left onto Old Medulla Rd., follow the direction below to the show. Heading in a NORTH direction on County Line Rd. continue until you come to the intersection of Old Medulla Rd., turn right onto Old Medulla Rd. Follow the direction below to the show. Take Old Medulla Rd. east. Old Medulla Rd. curves around to the right. DO NOT curve around to the right, GO STRAIGHT. Old Medulla Rd. turns into Doolittle Rd. On your left you will see the Florida Air Museum. Stay on the road to the Florida Air Museum, it will be on your left, you're on the right road. If you are driving away from the Florida Air Museum and see it in your rear view mirror you're going the wrong way. You will see some airplanes displayed in the grass in front of the museum. Don't get excited, they're just airplanes not Corvettes. As you continue on Doolittle Rd., on the right, there will be a FedEx cargo transport plane on display. You will then come to a chain link fence with a gate and Sun N Fun Rd. on your left. Turn left onto Sun N Fun Rd. and head north. You will come to the check in point and you will see the vendor field in front of you. *4526 Sun N Fun Rd., Lakeland, Florida 33811. I hope this helps and hope to see you there!.